The supply of flexible organic light-emitting diode panels will outstrip demand by 44 percent next year, as handset makers are slow to adopt the panels due to high production cost, according to US research firm IHS Markit. 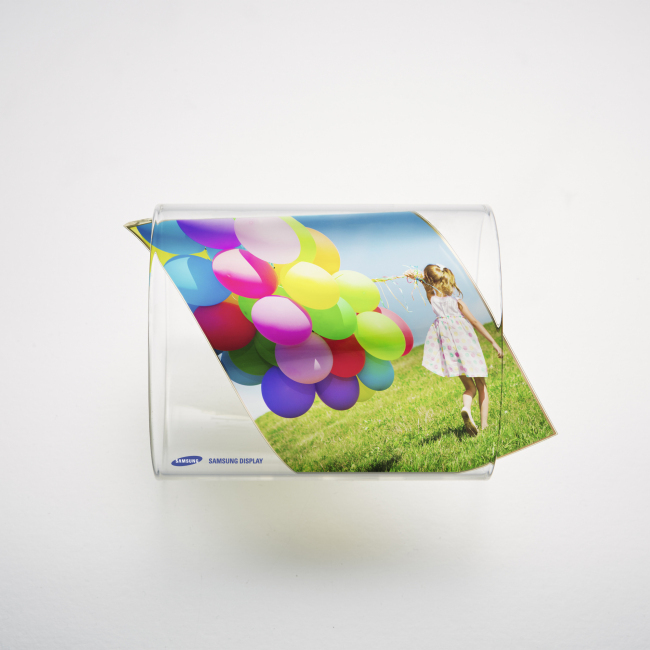 “Panel makers had expected flexible OLED to penetrate the smartphone market quickly. But they found this year that most smartphone makers choose either liquid-crystal display panels or rigid OLED panels instead of curved edge screens due to the high production cost,” said Kang Min-soo, a senior display researcher at IHS Markit. The production cost of flexible OLED panels is 1.5 times higher than that of rigid OLED panels, according to the research firm. The production volume of flexible OLED panels is predicted to double in 2018 compared to this year, reaching 4.4 million square meters, while demand will rise 69.9 percent on-year to reach only 2.4 million square meters, the firm said. “This may lead to latecomers in flexible OLED panels to significantly lower the operation rate of their factories,” Kang said. Samsung Display currently has a more than 95 percent share in the global flexible display market for mobile devices, mostly for Samsung’s flagship smartphones. Samsung’s Galaxy S6 Edge, Galaxy S7 Edge, Galaxy S8 and Galaxy Note 8 all adopted flexible OLED panels. The recent adoption of flexible OLED panels by Apple for its flagship smartphone iPhone X, however, triggered other Chinese and Korean panel makers, including BOE and LG Display, to start making heavy investments in flexible OLED panels. BOE set aside around 8 trillion won ($7 billion) for flexible OLED panels and LG Display also announced that it would invest around 10 trillion won on both rigid and flexible OLED panels by 2020.